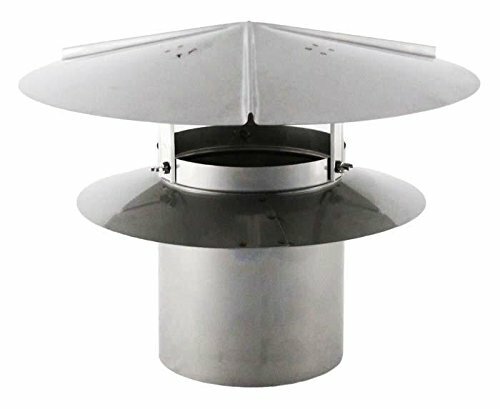 The FAMCO Universal Cap UC is an ideal replacement chimney cap made to fit single and multi-wall chimney pipe. The cap has a one piece hood that is removable to make cleaning easier and an oversized storm collar to protect the chimney. This product is made to fit on the inside of a single or double wall pipe and is made approximately 1/16 of an inch under actual pipe size. Quality constructed in 28 gauge Galvanized.